In R (on the application of UNISON) (Appellant) v Lord Chancellor (Respondent)  UKSC 51 (noted in this blog on 1 October 2017) the Supreme Court held that the fees being charged for taking cases to Employment Tribunals were so high that they were effectively barring access to justice. In consequence the Court ruled that the fee scheme was unlawful. The Government has now announced arrangements for the refunding of those fees. Stage 1 of the refund scheme became operative on 20 October 2017. It is clear that the Government plan to introduce a revised scheme which they hope will meet the Supreme Court’s objections. Until the coming into force of the Employment Tribunals and the Employment Appeal Tribunal Fees Order 2013, a claimant could bring and pursue proceedings in an Employment Tribunal (ET) and appeal to the Employment Appeal Tribunal (EAT) without paying any fee. The Order created a somewhat complex fee tariff in which different fees were paid, depending on the type of action being brought before the tribunal. In addition, a fee had to be paid at the start of proceedings, another when the case went to a hearing. Poor claimants who fell below defined income and capital limits could get their fees remitted. (iii) Justice: to protect access to justice.getting a better balance between what the taxpayer funds and what the litigant funds. The Supreme Court has, however, come to a quite different conclusion. In R (on the application of UNISON) (Appellant) v Lord Chancellor (Respondent)  UKSC 51, the Court concluded unanimously that the Fees Order was ultra vires (that is to say that the Lord Chancellor did not have the power to make the order) and so quashed it. There are at least three reasons why the judgements in this case are particularly interesting. First, in most cases where the validity of a Statutory Instrument is challenged in the courts, the argument turns on fairly precise questions of statutory interpretation – were the rule-making powers in an Act of Parliament sufficient to give the relevant Minister the power to make the order being challenged? In this case a much broader, constitutional approach was adopted. The essence of the argument was that the impact of the Order was so dramatic (the numbers of cases coming to both the ET and the EAT had fallen dramatically since the introduction of the fees) that they had the effect of denying potential claimants access to justice.Lord Reed, in the principal judgement, refers back to a number of historic legal texts, including Magna Carta, to conclude that it is a constitutional principle recognised in common law, that people should have access to justice. consumers and producers of these services”. [However] …the idea that bringing a claim before a court or a tribunal is a purely private activity, and the related idea that such claims provide no broader social benefit, are demonstrably untenable…. Courts exist in order to ensure that the laws made by Parliament, and the common law created by the courts themselves, are applied and enforced. That role includes ensuring that the executive branch of government carries out its functions in accordance with the law. In order for the courts to perform that role, people must in principle have unimpeded access to them. Without such access, laws are liable to become a dead letter, the work done by Parliament may be rendered nugatory, and the democratic election of Members of Parliament may become a meaningless charade. That is why the courts do not merely provide a public service like any other. Every day in the courts and tribunals of this country, the names of people who brought cases in the past live on as shorthand for the legal rules and principles which their cases established. Their cases form the basis of the advice given to those whose cases are now before the courts, or who need to be advised as to the basis on which their claim might fairly be settled, or who need to be advised that their case is hopeless. The written case lodged on behalf of the Lord Chancellor in this appeal itself cites over 60 cases, each of which bears the name of the individual involved, and each of which is relied on as establishing a legal proposition. The Lord Chancellor’s own use of these materials refutes the idea that taxpayers derive no benefit from the cases brought by other people…. But the value to society of the right of access to the courts is not confined to cases in which the courts decide questions of general importance. People and businesses need to know, on the one hand, that they will be able to enforce their rights if they have to do so, and, on the other hand, that if they fail to meet their obligations, there is likely to be a remedy against them. It is that knowledge which underpins everyday economic and social relations…. if they fail. Otherwise, the party in the stronger bargaining position will always prevail…. The Justices accepted that a system of fees that had the objectives set out above – of reducing the cost to the tax payer, encouraging settlement and deterring weak cases – were quite lawful. But they concluded that in this case the fees structure had gone too far. In addition they noted that the practical outcome of the fees imposed by the order was to result in a significant reduction in the money being paid into the system by parties to proceedings. In short, the price for access being charged was too high for the Government to be able to achieve its principal objective of increasing revenue into the court/tribunal system. It seems clear to me that the Government will not abandon its fees policy – either in relation to ETs and EATs, or indeed to other parts of the courts and tribunals system where fees are imposed. But those devising future schemes will have to take into account considerations that go well beyond those that were initially taken into accounts by Ministers and their civil servant advisers. Following the introduction of fees to take a case to the Employment Tribunal, the Government undertook to carry out a review to examine the impact of the new fees on the work of the tribunals. They have now carried out this review and in January 2017 published a Consultation Paper on changes they are suggesting might be made to the fees charging system. (iii) Justice: to protect access to justice. It might be suggested that there was a fourth, political, objective namely to ease burdens on employers who were arguing that it was too easy for them to be taken to a tribunal by an employee – an argument which was of course rejected by the TUC and other workers’ representatives. taxpayers to those who use the Employment Tribunals. to Acas in the first year of the new early conciliation service, and more than 92,000 in 2015/16. This suggests that more people are now using conciliation than were previously using voluntary pre-claim conciliation and the ETs combined. 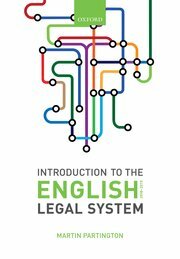 our assessment suggests that conciliation is effective in helping up to a little under half of the people who refer disputes to them (48%) avoid the need to go to the ETs, and where it has not worked, many (up to a further 34%) went on to issue proceedings. While these conclusions will not satisfy those who argue that there should be a return to the former system, there is absolutely no indication that the present Government is planning to abandon its new fees scheme. The fall in ET claims has been significant and much greater than originally estimated. In many cases, we consider this to be a positive outcome: more people have referred their disputes to Acas’s conciliation service. Nevertheless, there is also some evidence that some people who have been unable to resolve their disputes through conciliation have been discouraged from bringing a formal ET claim because of the requirement to pay a fee. This assessment is reinforced by the consideration given to the particular impact that fees have had on the volumes of workplace discrimination claims, in accordance with the duties under section 149 (1)of the Equality Act 2010. The Government has also abolished fees for certain types of case concerning payments from the National Insurance Fund, such as certain redundancy payments. In addition, the Consultation Paper notes that the Government has taken steps to publicise better the Lord Chancellor’s power to remit fees in exceptional circumstances, which has apparently led to some increase in the numbers of cases where this power has been exercised. It seems highly unlikely that these changes are going to lead to significant increases in the numbers of claims made in Employment Tribunals. and even the modest changes proposed are not yet settled. What is potentially more interesting is whether changes that might be made under the Transforming Our Justice System programme which, by holding out the prospect of much greater digitization of process, could lead to more people taking their claims to the ET. But as noted in my earlier blog, significant procedural reform of ETs is not going to be put in place for a considerable time to come. On 21 April 2016, the Government published a consultation paper proposing new fees for proceedings in the First-tier Tribunal (Immigration and Asylum Chamber) and Upper Tribunal (Immigration and Asylum Chamber). Following on huge rises in court fees for civil and family disputes, as well as huge increases in the fees charged in employment cases, the spotlight now falls on immigration and asylum cases. The courts and tribunals service cost £1.8 billion in 2014-15, but only £700 million was received in income. This leaves a net cost to the taxpayer of around £1.1bn in 1 year alone. This begs an important question: is it good policy for the justice system that its costs are met only by those who use the system, as opposed to being a collective responsibility which society as a whole should shoulder? Whatever your answer to this question, you may be surprised at the level of fees which are now being proposed by the Government. We have previously consulted on plans to raise fees for proceedings in the First-tier Tribunal (Immigration and Asylum Chamber) in order to recover around 25% of the £84 million annual costs of that Chamber. Having re-assessed MOJ’s financial position following the Spending Review, we need to go much further. To increase fees in the First-tier Tribunal from £140 to £800 for an application for an oral hearing. To introduce a new fee of £455 for an application to the First-tier Tribunal for permission to appeal to the Upper Tribunal. The Government argues that the same principles should apply to appeals to the Upper Tribunal (Immigration and Asylum Chamber) so the consultation also seeks views on introducing fees, set at full cost recovery levels, for these proceedings. a fee of £510 for an appeal hearing where permission is granted. The Government concedes that some applicants will face difficulties in paying these fees, so to make sure that the burden of funding the system is shared as fairly as possible it will continue to exempt from fees those in particularly vulnerable positions. This includes those who qualify for legal aid or asylum support; those who are appealing against a decision to deprive them of their citizenship; and those children bringing appeals to the tribunal who are being supported by a local authority. The Government will also extend our exemptions to protect children being housed by the local authority and the parents of children receiving local authority support. In addition, it is consulting on further extensions to the exemptions scheme in this consultation to make sure the most vulnerable are protected. The Government claims that these proposals will raise around an additional £37 million a year. There are at least two fundamental questions that these proposals raise. First, as mentioned above, is the policy of full cost recovery the right one, particularly where it is decisions of the state that are being challenged. The now defunct Administrative Justice and Tribunals Council sought to establish some principles in relation the question of who should bear these cost – which included the principle that, at least to a degree the Government department that made a decision which was overturned should pay part of the cost of the appeal. Second, the whole of the Consultation Paper is based on assumption that the introduction of these fees will have no significant impact on the numbers of cases going through the tribunal system. If, however, the impact is similar to what has happened in employment cases, there will be a significant fall in appeal numbers, which no doubt the Government would like to see but which will prevent the Ministry of Justice achieving is financial targets. Details of the government’s proposals are set out in the consultation can be found at https://consult.justice.gov.uk/digital-communications/first-tier-tribunal-and-upper-tribunal-fees. The consultation runs until 3 June 2016. When fees were introduced in the Employment Tribunals, in July 2013, the government made a commitment to review their impact. On 11 June 2015, the Government announced the start of that review. The review will consider how effective the introduction of fees has been at meeting the original objectives, while maintaining access to justice. The review will also consider the effectiveness of the new fee remissions scheme, which was introduced in October 2013. The review is expected to be completed later in the year. The Government states that it will consult on any proposals for reforms to the fees and remissions scheme. This exercise is likely to generate some controversy given the significant decline in the numbers of cases now being taken to the Employment Tribunal.